KNOWLEDGE AND TASTES Educational workshop on Jewish food rules. They will be then invited to think some dishes of their land’s tradition which can respond the given rules and they will prepare the ideal menu of a hypothetical kosher restaurant which can also respond to regional sustainability. Depending on the age group, the workshop will end with a playful moment. At the end of the activity students will visit a synagogue. The educational workshop "Knowledge and Tastes" let students be in touch with the Jewish dietary culture and so with the Jewish dietary rules. A special look will be given to the social fallout and to the regional sustainability allowed by this kind of cuisine. Students will be finally given the opportunity to enter in the place of gathering and prayer of Jews to understand it. The educational workshop for primary and middle and high schools lasts 1:30hrs about throughout the school year and costs 4.50 € for each student and can be effected for one class at time. It is performed only in Italian. 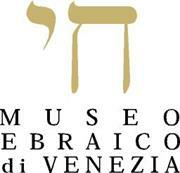 In the New Ghetto Square, among the most ancient Venetian synagogues, the Jewish Museum has sprung out since 1954. The Jewish Museum of Venice is not simply a closed exhibition space but a widespread museum, an urban, architectural and museum complex unique for its specificity. All the premises of the ghetto can be, as a matter of fact, considered as an experiential museum: the same morphology of the place shows clearly the life conditions of the Jews forced to live in an islet whose very high houses, divided into floor lower than the standard, tell the problem of an overcrowding also highlighted by the high number of water-wells. You cannot pull over, anyway the soul of the Jewish quarter, established by the Republic of Venice in 1516, if not leaving from the synagogues, or “Schole” built between the first quarter of 16th century and mid 17th century by the different ethnic groups after been settled permanently in the city and had been granted guarantees on freedom of religion. The German and Canton Schola, according to the Ashkenazi Rite, the Italian Schola according to the Italian Rite and the Levantine and Spanish Schole according to the Sephardic Rite hence arose.Remained intact over time, even with some later interventions,, such synagogues testify the importance and the vitality of the Venetian ghetto.. The synagogues of the New Ghetto are on the top of the pre-existing buildings and are hardly recognizable from outside, while inside they reveal themselves as small concentrated jewels inviting people to reflection. They can be visited thanks to some guides taking visitors to the German Synagogue, the Canton Synagogue, and the Italian Synagogue (on request) and according the periods of the year the Levantine or the Spanish Synagogue. Inside the Jewish Museum we can find “Aleph” The Museum Bookshop and a Kosher Cafeteria. "Aleph" is a small but decent bookshop specialized in judaica, one of the kinds in all North- Italian area. With almost 5000 books present it represents an inescapable reference for students, teachers, and scholars and in general all the people interested to know or to deepen the different aspect of Judaism. The Ghetto of Venice with its synagogues and the Museum is an inescapable stage of the discovery of the places in the City, testimony of its social and religious problems, along the centuries and guardian of an ancient faith and tradition.